TURTLES DO NOT DIE OF OLD AGE takes a look at a vanishing generation. This film invites us to share in the lives of three elderly men from northern Morocco. Hovering around 80 years old, each of the three men: Chehma, a former master fisherman; Radi, a solitary innkeeper; and Laroussi, a street musician, still works to earn a living. 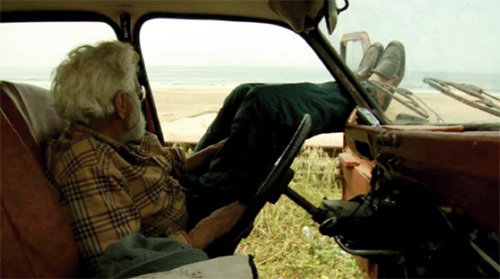 The film illustrates their desire to continue living, presents their outlook in the face of an approaching death, and reveals their courage to ceaselessly work despite their age. Chehma, Radi and Laroussi’s predicament reaches beyond Morroccan geographic boundaries. It ushers us through the universality of life, old age and death. This is a documentary anchored in the mens’ daily rituals, enveloped with a compassionate humanity.